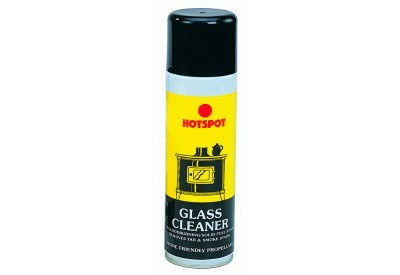 Hotspot Stove Glass Cleaner will quickly dissolve tar/creosote deposits and smoke stains. 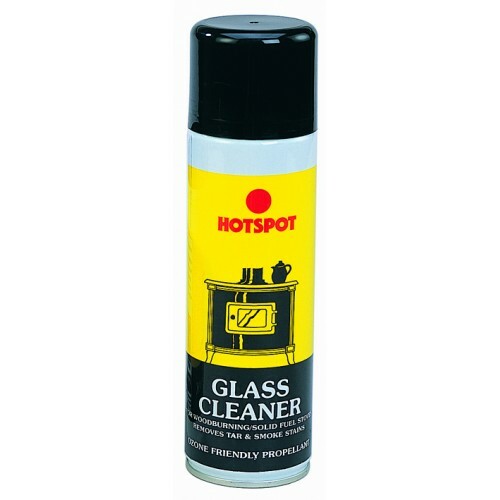 The glass cleaner spray can be used on wood, coal and oil burning equipment, glass firescreens or fronts. It can also be used on glass oven doors to remove grease.